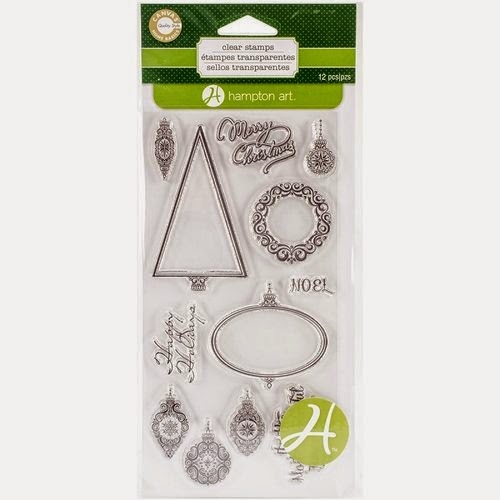 This Holiday greeting began with a brand new stamp set from Hampton Art. It has beautiful Holiday sentiments, tree, ornaments and a wreath. I used only the tree and “Happy Holiday” sentiment to make this card. The base of the card is a combination of new Holly Berry Borscht papers from the 6x6 paper pad by Jillibean Soup, with a doily added in from a Mix the Media ephemera pack. I added some stitching with my sewing machine and then began stamping. 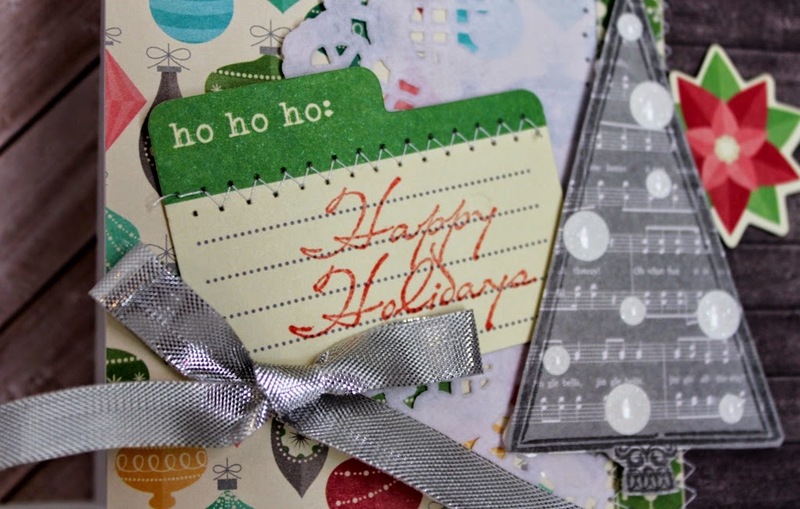 The tree was stamped onto some of the jingle bell paper and the sentiment was stamped in red ink onto a file card from the Holly Berry Borscht peapods pack. I also added some stitching to the file card. Using KI Memories glitter dots I added the white ornaments to the stamped tree. All of the pieces were added to the card including another die cut poinsettia from the peapod pack and a silver bow to finish it off. Simple as that, a little stamping, sewing and sticking and it is done. May your Holiday season be full of all of your favorite things!